I suppose it’s inevitable when your country is 4000km from east to west and 3,200 km from north to south. When a relatively tiny pocket of skiing can be had in the bottom right corner of a continent that is 7,682,300km squared, we shouldn’t be all too surprised and maybe we should just be grateful to have snow at all! That being said, we wondered what the best way to get to the snow was – if there was such a thing? And we also wanted to know what insane lengths our readers had gone to in getting to the Australian Alps to perform the hilariously arbitrary, yet absurdly fun act of a few turns down a hill? Below we compiled all the modes of transport available to take you to the mountains… Material best enjoyed during a long drive/bus/walk or boat to the slopes. The no-brainer. The car is perhaps the most widely used form of transportation when it comes to commuting to the snow and for good reason. The snow road trip is a veritable right of passage. 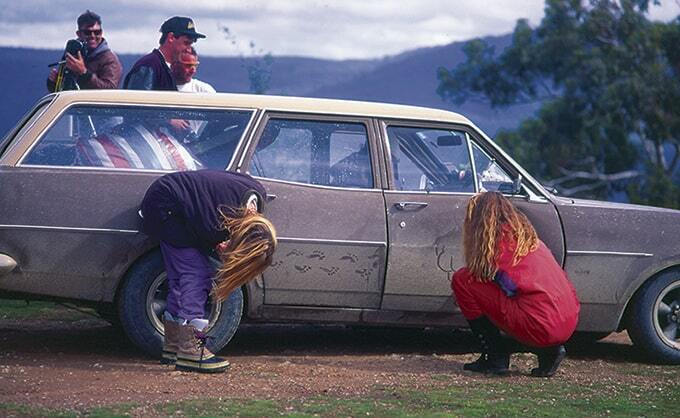 However, the car is not without its flaws… For two-wheel drives, chains can be a necessary albeit tiresome exercise. 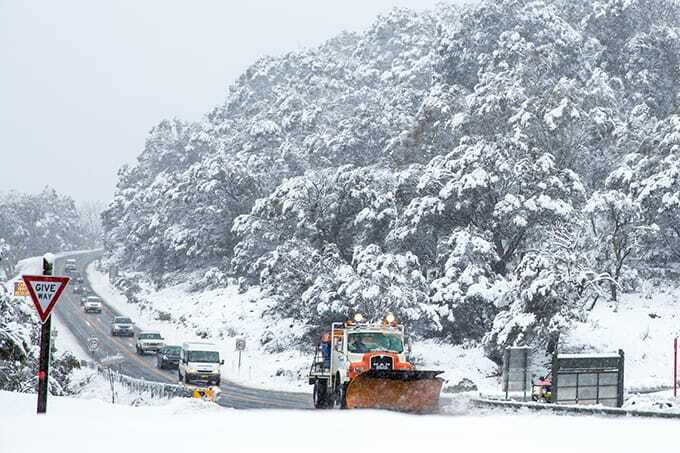 Indeed, you are legally required to carry properly fitting chains in any vehicle other than 4WD’s within the National Park and in Victoria carrying chains is mandated for all vehicles regardless of whether it’s 2WD or 4WD – with some hefty fines incurring. Notwithstanding ice, the roads are also fraught with obstacles, mostly of the bounding marsupial variety, straight from our coat of arms. In fact, we wrote a guide earlier in the season on watching out for roos on the roads. 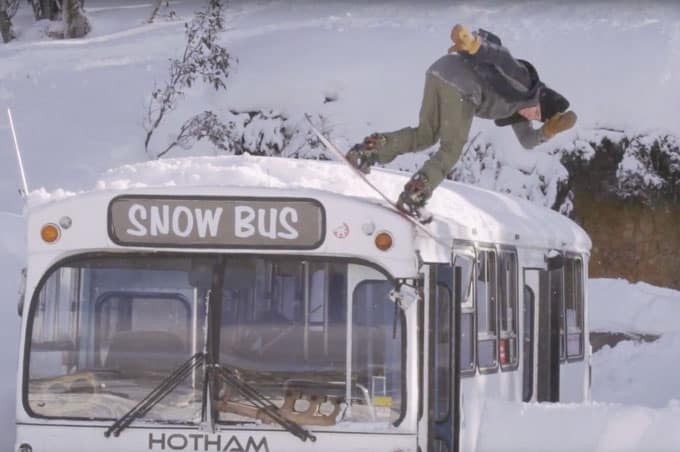 The wheels on the bus go round and round, making this mode of transport one of the most efficient, enjoyable and affordable when it comes to getting to the snow. Hassle free, if you will. 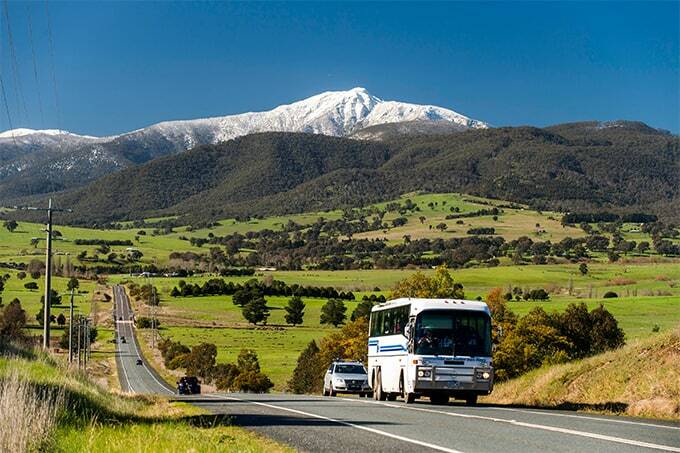 There’s a range of bus services ready to take you from all over Australia – from Sydney to the snow, Canberra to the snow or Melbourne to the snow. For example, with Falls Creek Coach Service, you can get from Melbourne to Falls Creek for nigh on $60 and sleep for the duration of the 4-5 hour journey if so inclined. Da Vinci said it better than I ever could and having flown from Sydney to Cooma before, I can attest to how rapid the journey is. You may or may not have known that Regional Express (REX) make regular flights into Cooma, from which a variety of airport transfers then exist to take you to your resort of choice. 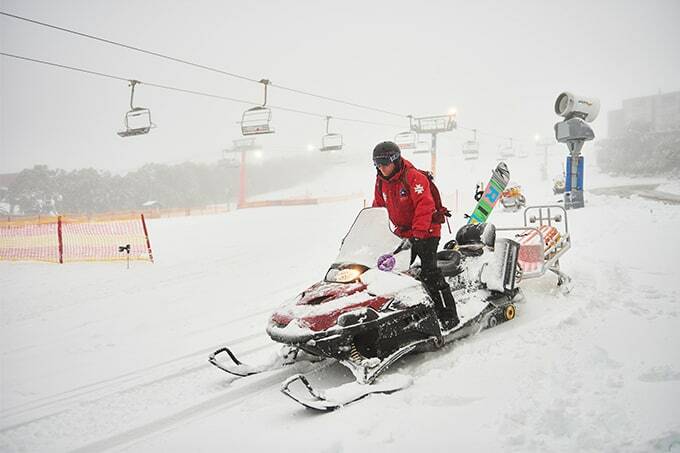 Slightly further afield and Canberra airport is just a few hours from Jindabyne or 2.5hrs from Perisher resort and can be reached after a 1 hour flight from Sydney or Melbourne or a 2 hour flight from Brisbane. In addition to these State capitals, daily flights also connect Canberra with Adelaide and Perth and direct flights are available to Newcastle, Singapore and Wellington, New Zealand. In line with the latest craze of ‘earning your turns’, we want people to take this backcountry skiing thing to new heights and start earning those turns in Sydney or Melbourne. 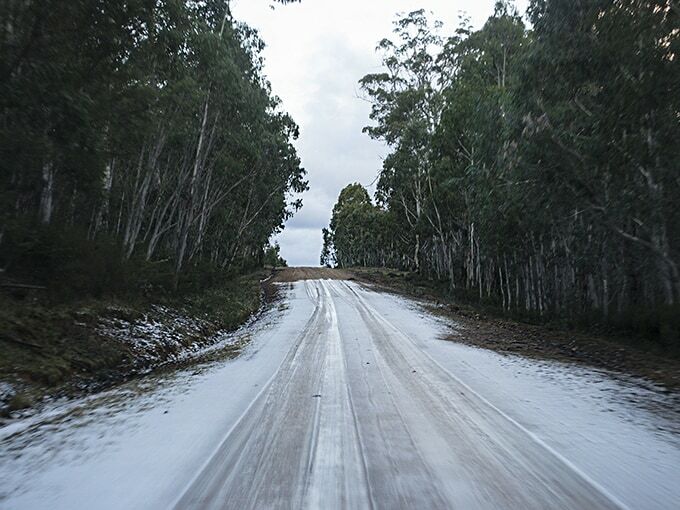 Thredbo’s Supertrail will feel extra special knowing you walked 499km for 104 hours to get there. Go you! We recommend making the journey with your ski boots already on, so as not to waste time when you get to the hill fiddling around with them. One of the hardest things when it comes to heading to the slopes is actually knowing when to leave. The timing of one’s trip can effectively make or break it – hence why we now advise, not only looking at the Mountainwatch Weather Forecast and Mountainwatch Snow Report, but also using (with discretion) a time machine. 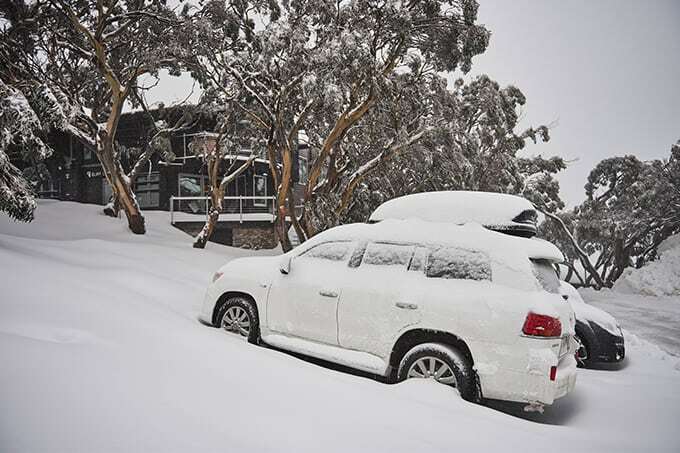 Whether you missed the bumper pow day on the 20thof July, the third Blizzard of Oz last year or the absurd snowfalls of 1984, a time-machine takes the stress out of planning a trip. While we’ve detailed the more obvious modes of transport above, let’s not forget others do exist. For example, Thredbo can be accessed via vessel travelling upstream on the Snowy River. Companies offering such services are urged to get in touch. Let us know in the comments on Facebook or below, how do you get to the snow, from where do you leave and how long does it take?